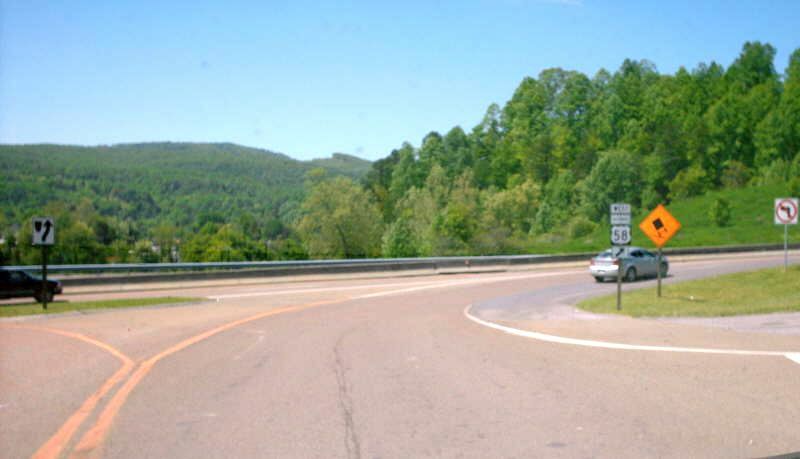 From VA 158 westbound merging onto US 58 ALT West. US 58 ALT east cannot be accessed from here. Photo by Mapmikey, taken May 24, 2008. 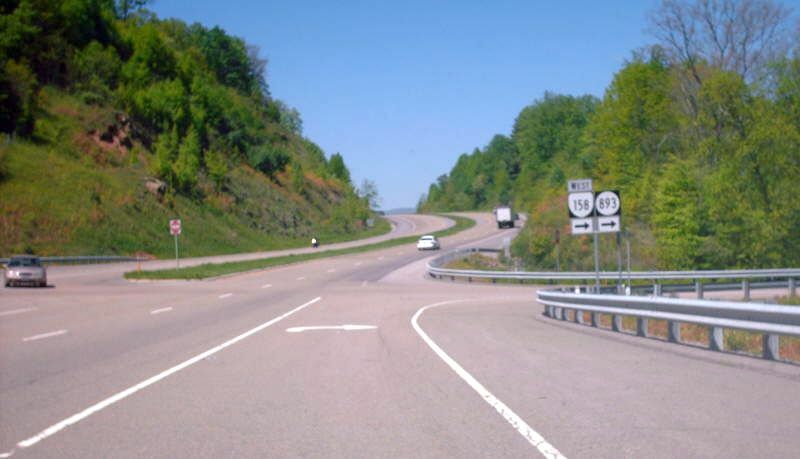 US 58 ALT eastbound must use the SR 813 exit to access VA 158. Here is the view looking east on SR 813, which was once part of 58 ALT. Photo by Mapmikey, taken August 1, 2008. VA 158 from US 58 ALT West. Photo by Mapmikey, taken May 24, 2008. 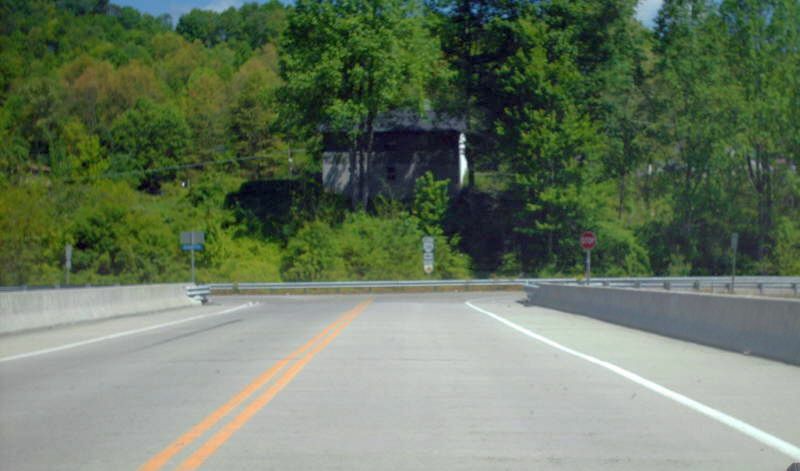 Heading up VA 158 (turns left ahead) from US 58 ALT. 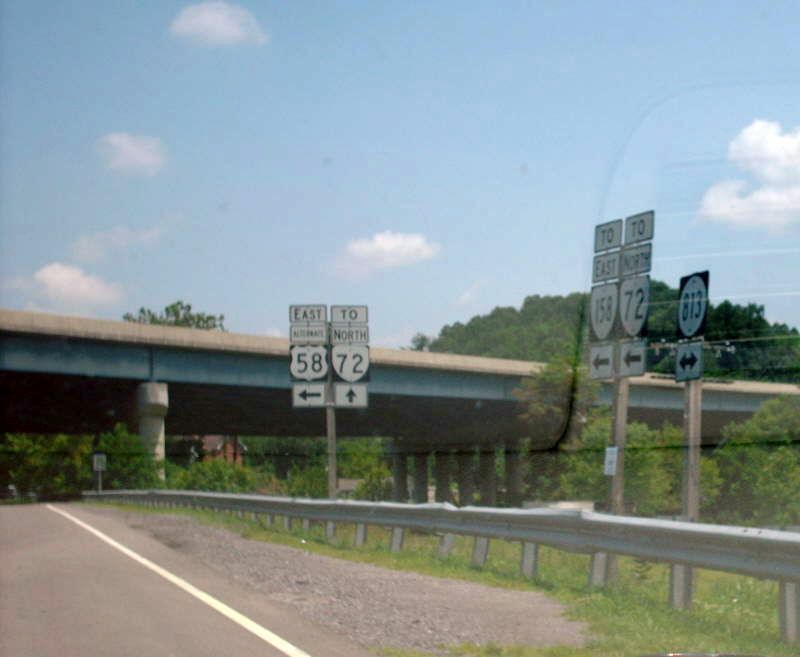 Except for this little piece here, VA 158 was a direct renumbering of US 58 ALT. Photo by Mapmikey, taken May 24, 2008.